Artist Chris Kelsey was raised in the Big Sky State where he played drums in rock and country music bands after high school. He earned a bachelor of Arts degree from Montana State University-Billings in 1997, where he studied photography and sculpture. While there he also studied ceramics with Marcia Selsor; clay has been his primary medium since then. He has lived in Spokane since 2001. 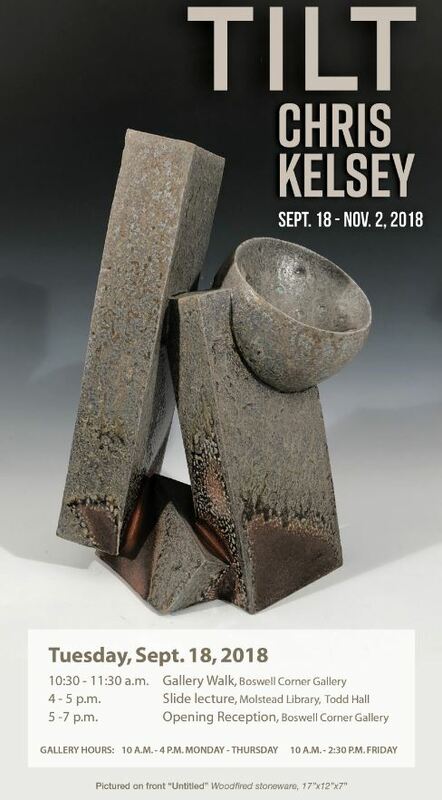 In 2008, Kelsey opened Trackside Studio with a fellow clay artist as their studio and gallery space.